India-focused early-stage investor Unitus Seed Fund has picked UE LifeSciences Inc, a US- and India-based portable breast screening device maker, as the second startup under its StartHealth Investment Program, as per a company release. UE LifeSciences will receive an initial funding of Rs 50 lakh ($80,000) from StartHealth partners Unitus, PATH, Manipal Hospitals, Narayana Health & Pfizer and potential follow-on investment of at least Rs 1 crore ($160,000). "We are very pleased to announce our investment in Mihir and his team who are working on devices which could become the new standard of care for breast screening in India and other low-resource markets around the world," said Dave Richards, managing partner, Unitus Seed Fund. UE LifeSciences has invented a patent-pending, portable breast screening device which helps in early-stage detection of breast cancer. The device is a hand-held scanner and radiation-free. 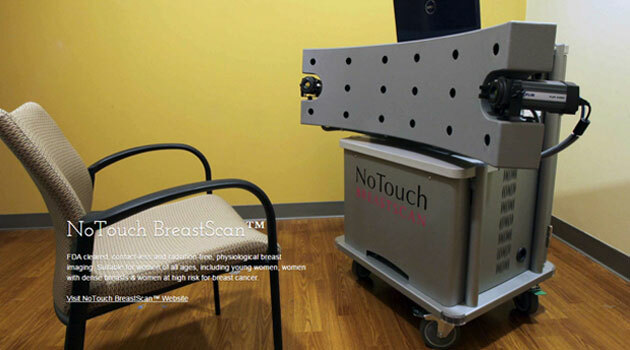 The flagship product iBE (intelligent Breast Examination) received US FDA approved last month. It can be operated by a health worker in a health clinic, a temporary health camp, or at a home. iBE pairs with a smartphone app (via bluetooth) and as the scanning is conducted, scanning results appear on the phone's screen. The app alerts the health worker if any abnormalities are detected so that she can refer the patient for further evaluation. A screening is expected to be priced as low as Rs 100 (around $1.50). According to the firm, in 2012, 145,000 new cases and 70,000 deaths were reported due to breast cancer in India. The survival rate is poor due to the lack of screening programmes prevalent in western countries. "We have developed a product that is absolutely suitable for the Indian market; it is non-invasive, painless, accurate and provides results in less than five minutes at the point-of-care," said Mihir Shah, co-founder and CEO of UE LifeSciences. "We are very pleased with the results from the initial trials we've conducted in the US and India, and will be using the new funding to expand our trials and implement our go-to-market investments in India," he added. The company was founded in 2009 by Shah and Matthew Campisi (CTO). Shah comes with experience in developing and commercialising medical devices including NoTouch BreastScan, InfraScan, IQ and Zoe. Before venturing on his own, he worked at InfraScan Inc.
Campisi, who teaches at the Electronics and Electrical engineering department at NYU Polytechnic Institute, leads product research and development including electronics design, software, analytics & signal processing aspects. In the past, Campisi has led the product development efforts for various medical devices such as NoTouch BreastScan and Sentinel BreastScan. Bhaumik Sanghvi heads India-based operations for UE LifeSciences and is listed as co-founder of the India office. He also manages sales and marketing of products and services. UE LifeSciences becomes the second firm after iMMi Life, a mobile-based cardiac services venture located in Chennai, under StartHealth. StartHealth program was launched by Unitus Seed Fund, Pfizer Inc, PATH, Manipal Hospitals and Narayana Health in early 2015 to provide up to Rs 10 crore ($1.6 million) in grants and investments to very early-stage startups seeking to enhance access to affordable technology-driven healthcare products and services for the low-income masses in India. It offers for-profit healthcare startups with non-dilutive capital, hands-on support, access to expert advisors, medical facilities, and seed venture capital to scale their operations in India.